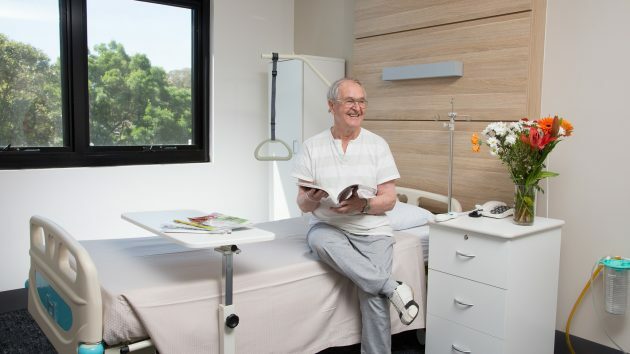 Melbourne Eastern Rehabilitation is a new Rehabilitation service located at The Melbourne Eastern Private Hospital. We have a custom-built inpatient Rehabilitation Unit available for goal directed and patient-centered rehabilitation post-surgery, injury or illness. Our Rehabilitation ward has both single and shared rooms available. Each room has a spacious ensuite and bright large seating areas. We have all the necessary equipment to make your stay very comfortable and look forward to having you with us. Our experienced and friendly nursing staff are available to care for you 24 hours a day and our onsite chef serves fresh meals, for all dietary requirements. Visitors and Patients enjoy free parking and a café on site. We are also proud to offer a variety of day programs and exercise groups such as a Fall Prevention program, Cardiac Rehabilitation, Orthopaedic Rehabilitation, Neurological Rehabilitation and a Reconditioning Program.